As the chief executive, Vice-Chancellor runs the University by ensuring smooth functioning of academic matters via the Boards of Studies, Faculties and Research Bodies, Academic Council members and Syndicate (shown below), and by ensuring functioning of Planning and Development Committees and other administrative wings. Welcome to Primeasia University (PAU), located in Banani at the heart of the dazzling capital city Dhaka, Bangladesh. The University began its journey in 2003 with an initiative of a group of philanthropists, academicians, renowned industrialists and business leaders to establish a pioneer private sector higher learning institution under the Private University Act 1992 (updated in 2010), of the Government of People’s Republic of Bangladesh. It is approved by the Ministry of Education and University Grants Commission (UGC) of Bangladesh, the epic bodies for monitoring, administering and controlling both public and private universities in the country. Since inception, PAU is committed to provide the most progressive and high quality higher education in the country. It prepares its students through competitive life skills and transform them as professionals so that the graduates could handle the challenges of the upcoming years. The commitment is to make all the student creative, innovative, and passionate learner, who would be able to contribute to the country’s advancement as well as achieve their specific goals in a rapidly changing world. Prospective students under four faculties are selected through a stringent process in its graduate and undergraduate programs. Students can choose variety of courses from a pool of course offering. Most of these courses are designed by the academicians highly acclaimed both nationally and internationally following globally recognized academic programs. The effort is to make courses comprehensive to achieve the objectives of preparing all students for successful careers and instill in them the values of lifelong learning. 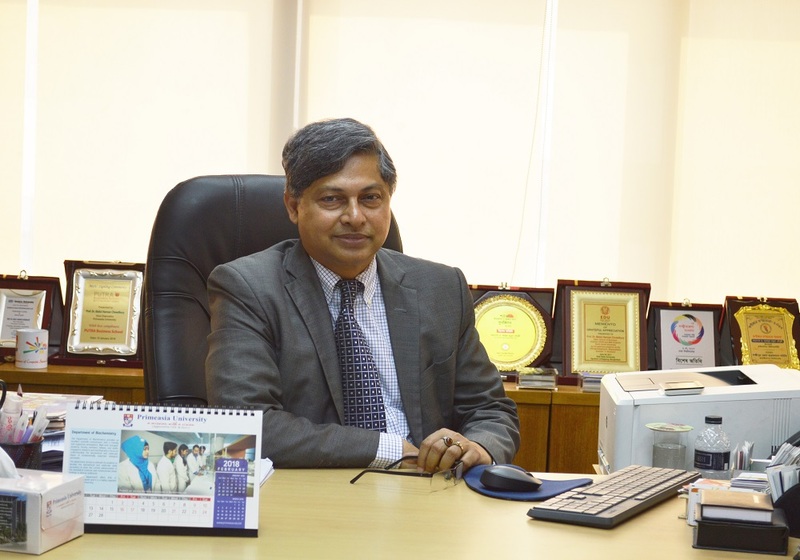 PAU being a leader among the private universities in Bangladesh has created state-of-the-art facilities and environment for its students, faculty members and stakeholders to deliver unique academic services. Its library provides invaluable resources to gather knowledge and conduct researches. The advance computer centers offer online search facilities to assist students in academic work. The science and technology labs, specialized textiles and apparel laboratories are constantly helping students in their research projects. The extra-curricular activities are vital part of university life here, and students get every support and encouragement to pursue individual interest. There are plenty of clubs, platforms and societies for students to organize events and to do beyond-the-class room activities. The counseling system guides the students in academic planning and offer Psycho-social support. The office of the Student Affairs is always an aid for career guidance & placement for students to shape their future endeavors. The University has forged close links with other higher learning institutions, the government, the business & industries and overseas partnering institutions to make teaching and research relevant and responsive to the needs of the country. It has two research and one continuing education centers to maintain close links with the relevant society through their activities. PAU strives to produce knowledgeable, skilled and excellent employable graduates and encourages excellence in all its activities upholding high academic standards. The graduates of this university continue to enjoy the best success rate in gaining full time employment. The dedication and commitment of faculty members and staff to guide students, to undertake useful research and to serve the communities will ensure the continued success of PAU and help achieve increased academic excellence.